If you're looking for volleyball-playing, beach-bar-hanging good times, this spot - where Highway 59 dead-ends into the Gulf - is for you. For a small fee, you get all-day, up-close parking, making it easy to unload your gear. Paid parking from March 1 - November 30. $5 for up to four hours or $10 for all day. 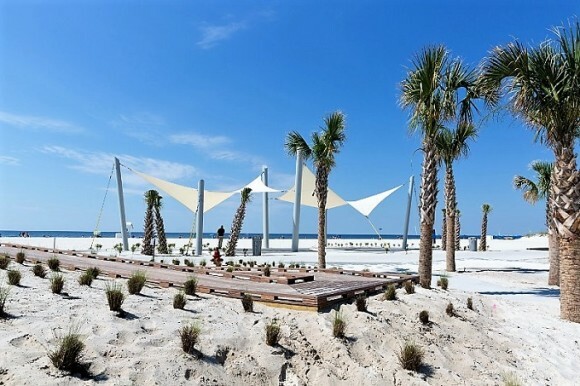 Beach attendants, three open-air pavilions and a picnic area are available. There are also restrooms and showers on site. This is a popular spot, so you may want to arrive early to get a prime parking spot.